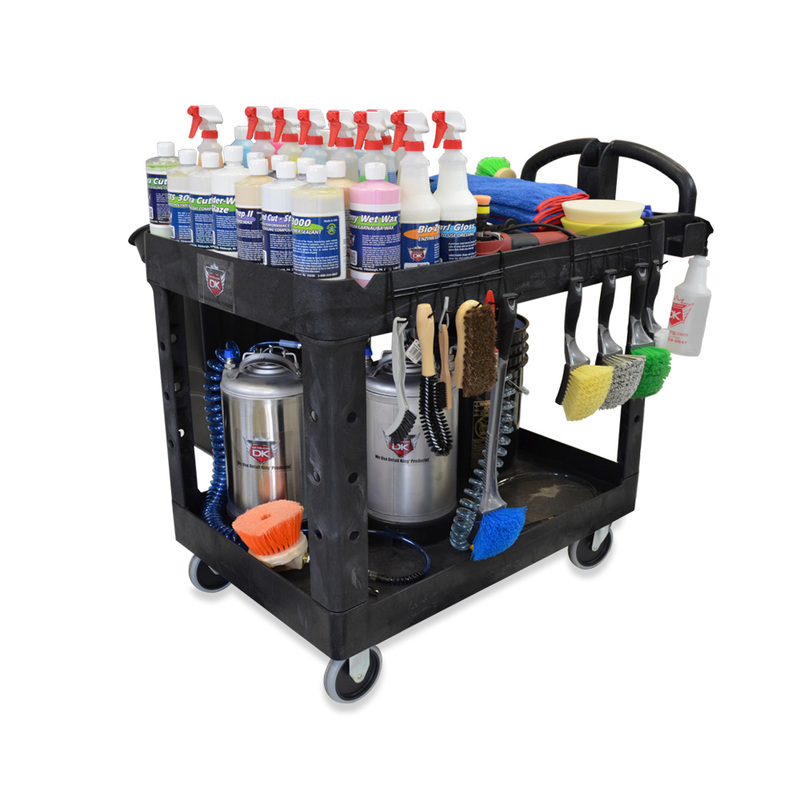 This auto detailing and car wash cart is ideal for car washes and high volume detail shops that need extra portable storage space. Perfect to stow: towels, applicators, sponges, gallons of chemicals, trash receptacle and many more critical items that must be at your fingertips when performing washing, drying and detailing services. Sturdy structural foam construction won't rust, dent, chip or peel. Quart bottle and aerosol can holder storage compartment on top shelf. Rounded corners protect vehicles from getting scratched or marred. Lightweight and extremely maneuverable. 4" diameter, non-marking swivel casters. 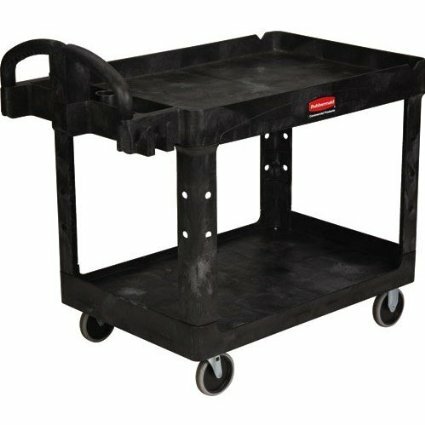 Ergonomically designed push handle provides optimum hand placement and push height improving control and worker safety. 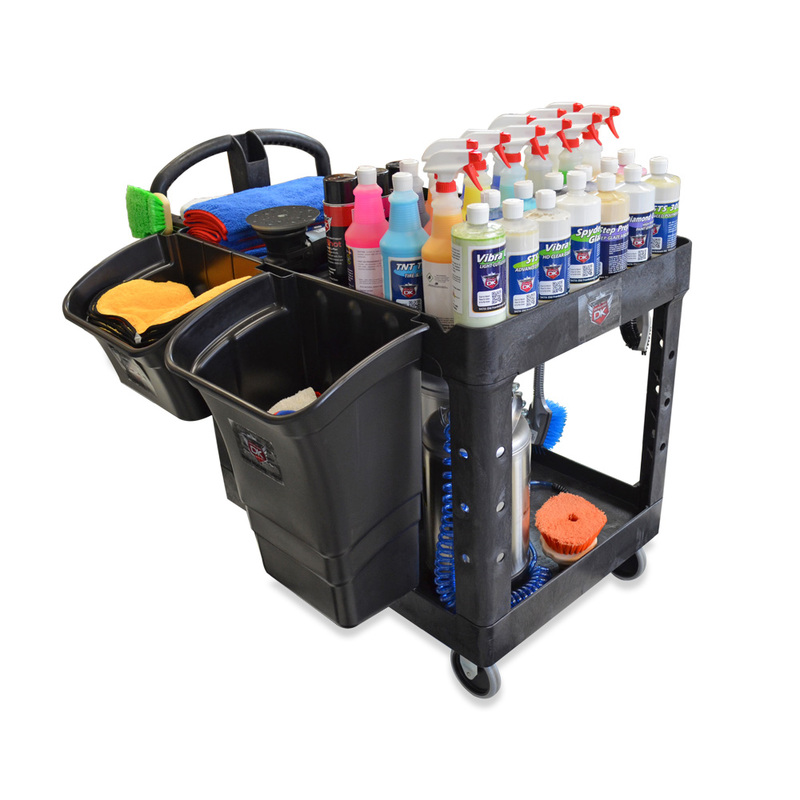 Detail King recommends both the Small Side Bin and Large Side Bin to help hold trash, dirty towels, and other disposable auto detailing supplies. Note: The bins and products displayed in the image are not included with purchase of this product.